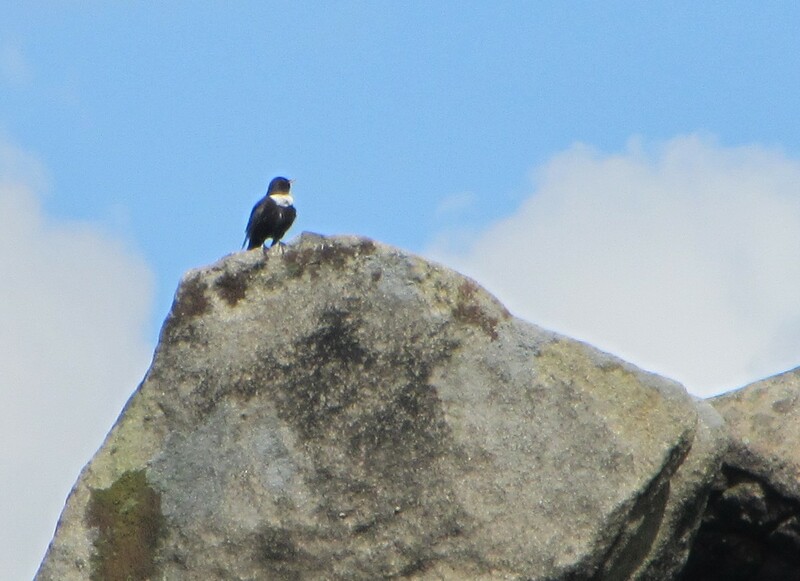 On our walk yesterday on Derwent Edge we were lucky enough to see Ring Ouzels. These rare birds spend the winter in the Mediterranean and North Africa, then migrate to the UK in the spring where they nest among craggy outcrops of rocks and among heather between April and July. The gritstone crags of the Dark Peak are ideal nesting habitats. Their numbers have rapidly declined over the last 50 years and it is believed that now only around 6,000 – 7,000 breeding pairs come to the UK. 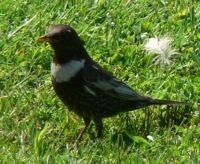 They look similar to blackbirds but are slightly smaller and have a white ring around their necks. We were lucky enough to see Ring Ouzels on our walk today on Derwent Edge. These birds which look a bit like a blackbird with a white ring around the front of their neck, spend the winter in Spain or North Africa and migrate north each year in April to nest. Their numbers have declined substantially over recent years and there are now believed to be only around 7,000 breeding pairs returning to the UK each year. They favour rocky hillsides for their nesting grounds, and in the Peak District as we usually get a few nesting pairs on the gritstone crags of Stanage Edge and Derwent Edge.